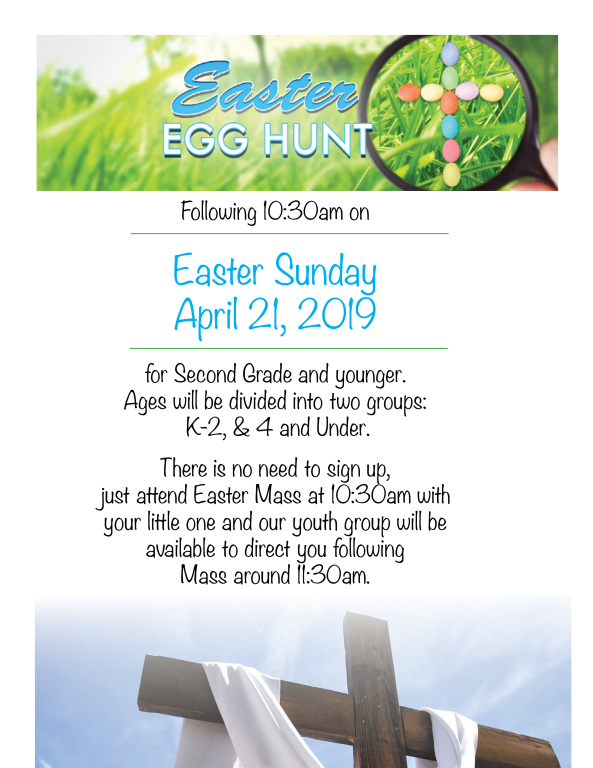 Easter Egg Hunt April 21, 2019 after 10:30AM Mass! for Second Grade and younger. K-2, & 4 and Under.